I like a lot the last one too. The other posters, however beautiful, have less interesting poses. I wish I were younger. I would have given a shot and applied to work on this. I am a proud owner of the 2 signed posters you handed out at CTN, thanks Andreas. It will be a beautiful film for sure. Looks lovely! I look forward to seeing the finished film. Hello Andreas!!! I sent a Email to you!!! Maybe I could to help you on the production!!! Is it possible? Hi, Andreas. I worked on The Princess and the Frog as clean-up inbetweener, and would love to work for you. I'd like to know if that's possible. I don't currently live in LA area, but, maybe, we could make some arrangements. I can suggest some. Hey Andreas! I'm not based in LA but I'd still love to contribute as an animator if possible! Hello sir Deja, I am fully available! It would be an honor to help as Inbetweener. Might show him some of my work. Hey Andreas, the intern position sounds like a great opportunity! I would consider it an absolute joy and pleasure to work with you on this project. I don't currently live in LA, but hope we can come to some arrangement. It'd be a big pleasure to join your project. I saw a bit of its artwork at one of your Virtual Animator's classes. I'd like to work in it as an inbetweener or as an intern. Hi Andreas I'd like to be part of this project, it's really awesome this opportunity and I want to learn more. Right now I'm living in Colombia but I could try to move to LA just for this project, this is a great chance. Hmm...this might be a double post and if so ignore this one..
You have plenty here to choose from that clearly have experience and skills. I thought I'd throw my name in with the rest, because why not? I do not have any experience in animation, however I consider my skill set in the field of art a jack of all trades, a swiss army knife of creativity! I would love to be considered even if in some small way to be a part of your creative team. There may be something that I can offer that no one else can, and if I don't apply, I definitely won't be considered! I currently live in Las Vegas, NV but I have a scanner and access to the internet, could definitely make it work. Hello Andreas, I love EFX animation & would love to be part of your film. I am a 2D artist based out of LA and would love the opportunity to work on your film as an inbetweener. Thanks! Love seeing the updates on this project! I'm currently located in Glendale, working at Renegade Animation in compositing and animation and would love to be a part of this project if possible! If you needed any help with the post side of things, that's certainly what I'm more familiar with (After Effects), but I'd really like to do some inbteweening if possible (seems like a fantastic opportunity to learn from you!). I would be available for freelance, and hope to hear from you! Thank you for your time. Hey Andreas, this may be a double post but i had to make sure i tried. Im an entry level animator, but love all aspects of animation production. Thanks for your time. I figure I'd throw my hat into the ring as well. I have experience as an animator and clean up artist. I'm a 2d artist (with college training in animation from Ringling College in Florida) located in Burbank, CA. I would love to be a part of this film and learn from amazing artists! I would like to be considered for Intern or Inbetweener. If you like what you see and hear, please let me know! I believe my email is given to you automatically without me posting it here? If not, please let me know, and I will post it here. Actually, I'll save the trouble and post it here: zev.burrows@gmail.com. Hi, my name is Kelli Garvey. I am from Michigan, but I am looking to move out to California, and this would be just the push for me! Please feel free to shoot me a message. While I am new to the field, I am talented and have a very strong work ethic. I could be an animator or an intern and I always set high standards for myself and my work. My email is kegarvey88@yahoo.com and I look forward to hearing from you. I am also able to provide any more information or examples of work you may need. Thank you so much for this opportunity! I hope the best for your future film and can't wait to see it. Hi Andreas - I'm a character artist for the Disney Design Group and Disney Parks, doing art for the theme parks in Florida. If you decide to go outside LA and hire someone remotely, I'd definitely be interested in helping with inbetweening! It's been a couple years since I've done much 2D animation, but there is some towards the end of my reel at mattdewater.blogspot.com. Thanks for looking! Looking forward to seeing the film! My name is Jose Molina and I am from the Bay Area. I am currently enrolled in Animation Mentor and love to draw and practice 2D animation in my own time. I would love to help and learn any way I can, whether as an Animator, Inbetweener, Effects Animator, or Intern. Thanks! Thanks in advance! All the best to you on your film! My name is Margaret, and I'd like to thank you for this wonderful opportunity! Truthfully, I'm more interested in the production and business side of animation, therefore while I may not be able to animate Mushka, I am highly interested in work related to assisting animators in the development of this film and helping spread the word about this exciting project. All in all, I will be happy to intern with the team! My email is marghar17@gmail.com. You can see some of my work here if you are interested as well: www.withthecreator.blogspot.com. I've worked on several of my own projects including some UCLA student films and independent short films. Look forward to hearing from you and best of luck with the production!! These are such beautiful and vibrant drawings and designs. I'm really looking forward to this film. Thanks so much. Hi Andreas, my name is Jesus, I would love to have the opportunity to work as animator or any available positions on your film. Look forward to hearing from you Cheers!!!!!!!!!! Please consider my hat in the ring. I am a trained classical animator who specializes in inbetweening, however I am also accomplished Layout and extremes and maquette sculptor. I am a huge fan of your style of animation and of your work. I would love to work with the man who inspired me to be the artist I am today. To work on this project for you would be a dream come true. I'd love to be considered for a position as an inbetweener or intern. I am very passionate about 2D animation, and my overall career goal is to make a personal short film like what you are doing here with Mushka. So to be able to work on this film would be incredibly inspiring for me. Can't wait to see this film happen! Hope all is great old Disney pal!! Happy for u! Congrats! Love to help out. My name is Matthew Guidera. Currently I am helping out Alex Topete, former Disney Animator, on a short animated project. 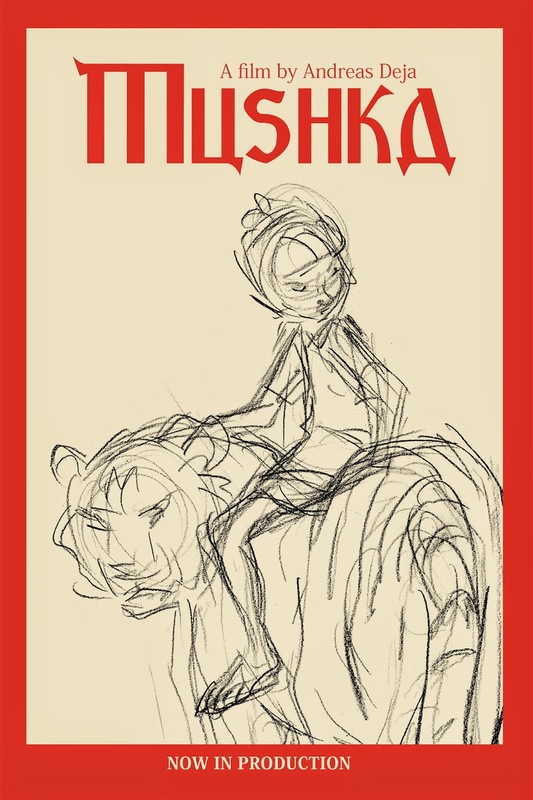 I would love to get the chance to work on Mushka. While I have the experience working on Alex's short, I don't have as much drawing experience as others. I'm willing to help out with whatever you need. If it would be okay with you, I would love to be an intern. Thank you so much for this wonderful opportunity. If you wish to contact me, my e-mail is: MJGuidera@gmail.com. I'm in LA with animation experience and Disney high standards. My email: sciezata@gmail.com. I'm primarily a CG artist, with a background in traditional painting, so I don't know if there would be a spot you would need me at but I have been looking forward to Mushka and would love to contribute and be involved. Thanks for the Mushka poster at CTN! Pizza e baccalà! A tutti quanti hip hip urrà!! I'm a student at the Savannah College of Art and Design, majoring in animation, with a focus on 2D animation. I've been following your work for years and it's been an amazing inspiration. If there is any chance of hiring summer interns that would be great. I'm an animation student in Gobelins (2nd year), Paris, but I'm looking for a summer internship (july/august) in animation. If I could work as an intern in your movie, it would be just perfect - i'd pay for the visa and expenses to go to LA! I discovered your work when I decided to study animation and I've been following you on Virtual Animators, so it would be an honor to work on your project. if you send me an email (vivianevguimaraes@gmail.com), I can send you my CV and portfolio as well. Hi Andreas, how are You? I'don't know if You remember of me but..i was working at Disney animation in Sydney and you were so kind to give me an interview for an italian magazine. I'm in Paris now so for me is quite difficult to be in LA and working for you there, but if you need a paw, this is my contact: zanimation@yahoo.it. All the best! I would love to work as an intern. I am graduating from university this May and am eager to gain experience in animation and story art. I have more experience in story art, but will work harder than anyone if given this opportunity to learn about animation from yourself and any of the talented people on your team. My name is Kate Dittmann and I am currently a junior illustration student at the Kansas City Art Institute. Though I am not experienced in animation, I would still love the opportunity to serve as an intern and learn about the industry. I am experienced in graphic design, illustration, visual development, character development, and some storyboard work. I would love the opportunity to send you my portfolio and learn more about what I could do as part of your team, should I be given the chance. Thank you for your time and I hope to hear from you! I'm very interested by your project! I have feature experience as a 2d animator and would like to send you my portfolio, reel and resume. Im used to high standards as well. All the best and good luck with your film! Forgot to mention some of the films ive worked on include: illusionist, zarafa and the congress. All the best. I would love to animate on your project. I have studied and admired your work since I was a young would be animator. I have 10 years of experience as a 2D animator and another 10 years as a 3D animator. I have recently been looking to get back to working on 2D projects. Thank you for creating this 2D opportunity! und habe bei Animation Mentor eine Ausbildung als 3D Character Animator erhalten. Beim Kurs Animals and Creatures habe ich auch viel über die Animation von Tieren gelernt. Mein Creature Reel habe ich aus zeitlichen Gründen noch nicht fertigstellen können. Ein wenig Zeichnen kann ich auch, allerdings längst nicht einem professionellem Niveau. Ich wollte schon immer an einem Kurzfilm arbeiten, sehr gerne auch an 2D Zeichentrick, und halte Mushka für eine besondere Gelegenheit. My name is Ambrosio Garcia and I follow your blog religiously. I would be more than honored to work besides a master of Animation and help you on your production of Muska. I live in LA and am currently studying 2d animation. I have a passion for the arts and strong determination to continue a career in the field of animation. I know many wonderfully talented people with plenty of experience are looking to work for you and be a part of this production. I can only say that I have a strong passion, love, and respect for animation and an eagerness to learn and grow in this field, which I believe make me a great candidate for this position. Hello. My name is Ruslan. I have a 1:08 min this scene only keys. I would like to create Effects for your project . So thrilled that you've opened up applications! I'd be happy to assist you as an intern or inbetweener! We met at UCLA's animation prom last June, after you accepted your award. I'm taking classes there at the workshop now, and I'm working on a 2D film of my own. I'll be around for awhile, and would love to contribute to this project! I've included a pencil test from my current project, to give you a general idea of my experience. A huge admirer of your work! It would be a great opportunity to work with you. I am somewhat obsessed with tigers and the Jungle Book and so everything about this project sounds amazing to me. I am not an animator, nor LA based, but I am a wildlife and landscape painter who has also worked on two graphic novels (acrylic and watercolour medium). Should you need any backgrounds, concept art or promotional paintings, please consider me! My name is Corina Pineda. I live in LA and I am a big fan of your work. I don't have any experience. I'm a newbie to the industry but I would love to help you with your film as an intern. My name is Hannah Lowell and I'm a current 2D art student from Southern California. I would love an opportunity to help intern on your new film. I'm a hard worker, eager to learn as much as I can about animation. I am an Animation student at USC and I am very interested in interning on Mushka! I have a great passion for animation and would love to help out on your passion project in any way that I can. I'm a 2D artist based in LA. I'm a longtime fan of your work and it would be a tremendous honor to assist you in making "Mushka." I am interested in 2d animation, I am working on some comics and games, I never learned drawing or animating, I learn by looking , try to learn from others works:) I am from Hungary, I do not know if there would be a possibility to work together, but I wished to show you my works since a long time ago and wish I could have some of Your advices! I'm currently a student at CalArts. I've been following your blog for years and I was thrilled to meet you at the CTN conference this past fall. First, thank you for this opportunity. I think its pretty incredible that you are recruiting talent this way. I wanted to pass along my work as I would love to join your team. I'll keep it short and sweet. I'd be happy to join the team in any capacity and I would be more than willing to work for the experience alone. This is my dream. When you met Eric Larson it changed the course of your life. I'm hoping this opportunity could do the same for me. I'm willing to work hard, endlessly and tirelessly. I know that probably sounds extreme but I figured it was worth putting it out there. For me its not just about having high standards its truly about a love for the process and craft of animation. I would love to be an intern for you. I love your work. I'm a student (Junior) with passion for animation. I have animated since I was little, for fun. Almost daily, I study work by Glen Keane, Freddy Moore, Takahata films, and many others. I have developed high standards. Hi! My name is Harmony Becker and I'd like to apply as an intern. I'm willing to relocate to LA if need be. 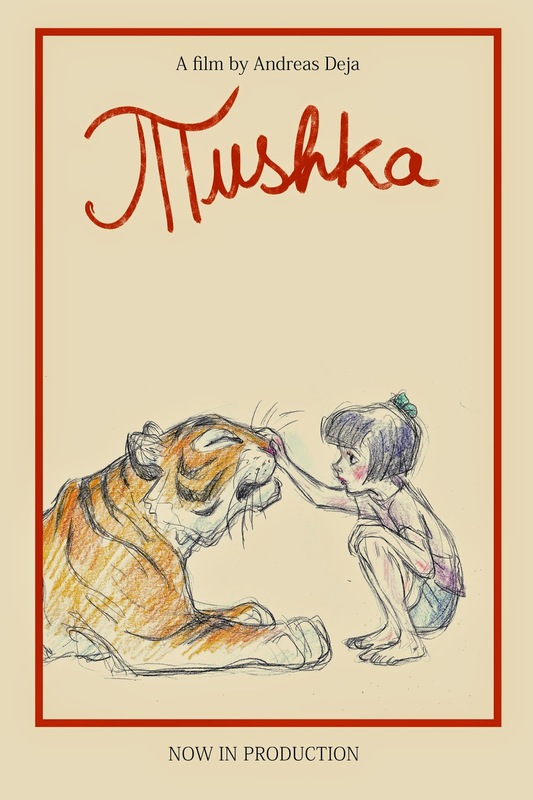 I am very excited to about the news and would love to come intern with you on Mushka!! I hope I am not too late! I have attached my current reel and email address for your consideration! I'm extremely excited about the opportunity to presented above to intern for you on your personal project. Currently, I'm studying for my Masters of Fine Arts in traditional animation via online at the Academy of Art University. Though I'm not located in the Los Angeles area, I'm will help out in any fashion as intern remotely. Please see posted below my school portfolio. I can be reached at bransdorf.philip@gmail.com. Wow, you have so many talented artists vying for these positions, i feel intimidated just commenting! But, I reasoned with myself, there is no harm in trying. I would consider it a tremendous privilege to be a part of your film, whether as an animator, inbetweener, or intern. I have a blogspot as well with my work, but not my most recent as it is freelance. I will ask my employer about posting my rough animation so that you may see it if you get to me (you have a lot of comments to get through, it's completely understandable if you don't!). While I am here, i just want to say that you are one of my first animation idols, and your work, blog, and work ethic continue to inspire me. I had a chance to see one of your workshops at CTN (my first time!) and even though i didn't get to meet you, just being there for your talk was enough. Even though it was a tent full of people, it felt like you were talking to each of us personally, relating your stories and experiences. Thank you for reading my comment if you got to me. I know I'll never get the position, even though I live in Australia. But I can show my recent work to you if you're free to see this. Please leave a feedback to me. Hi, my name is Jacob Jones and I'm just curious what your time frame is for accepting applicants. I won't be living in L.A. until later this year and I am extraordinarily interested in applying. First of all let me tell you that you are a huge inspiration to me! !, i love your animations, i love your drawings and of course i love your blog!!! so thanks a lot for sharing all you knowledge with us!! it is truly for me something special. My name is Juan Maria, i am 18 years old and i am just about to finish high school (i am in the last semester, finishing this May). Animation is my passion, and it would be a tremendous privilege to me to be involved in your film. Let me explain to you my situation.I wouldnt ask this if i didn’t feel capable of doing helpful and great things. I have never take any formal art clases, everything i know is self learned based on hours of drawing, books, talks, videos, movies, small curses, etc. all because i love art, specially animation. In Mexico animation its just about to be born, but with the current situation of the country it looks ages afar. I know i have the skills, the intelligence, the capacity and the creativity to be valuable and helpful, i am settled, fast learner, and i work very hard until i get things done right. Thats why i would like to ask you to consider me for the position of intern. As i said before, i would love to be involved in your film, i would work very hard, and i won’t let you regret it. Thank you very much for taking the time and reading this, and thank you for giving us this opportunity. I'm currently studying character animation at CalArts. I love the work you've done at Disney and I am so excited about your new project. I have a great passion for 2D animation and am in the process of animating my end-of-the-year film on paper. It has been my dream to work on a 2D animated film. Please consider me as an intern/animator/inbetweener for your project. If you're still looking for interns, I'd like to be considered. I'm an Art Center student in Pasadena, studying Illustration for entertainment. I've interned as a graphic designer, and I've recently been looking for production work as I transition into film/animation. My passion is to tell incredible stories that entertain and inspire people, and I always work to exceed expectations. I may be new to the industry but I'm fearlessly passionate. I've spoken to you a couple of times in the past and would love to help out with animation on your inspiring short film. I’ve been animating and storyboarding in the industry for the past 12 years. Here's a few quick links to my work. my names paul williams and I'm an animator,. I've worked on a number of animated features here in europe (the illusionist, day of the crows, titeuf, the congress and the red turtle to name a few) and id be happy to work with you if you feel theres an opportunity on this… feel free to email me and id send you a link to my work,. Hi Andreas! This may be a long shot, but why not try! I'm a second year animation student, specialising in hand drawn animation. Sadly I'm not in the US, but I would still love to be considered, what with the magic of the internet! I'm interested in helping out with the animation, as well. I'd love to hear more about it. 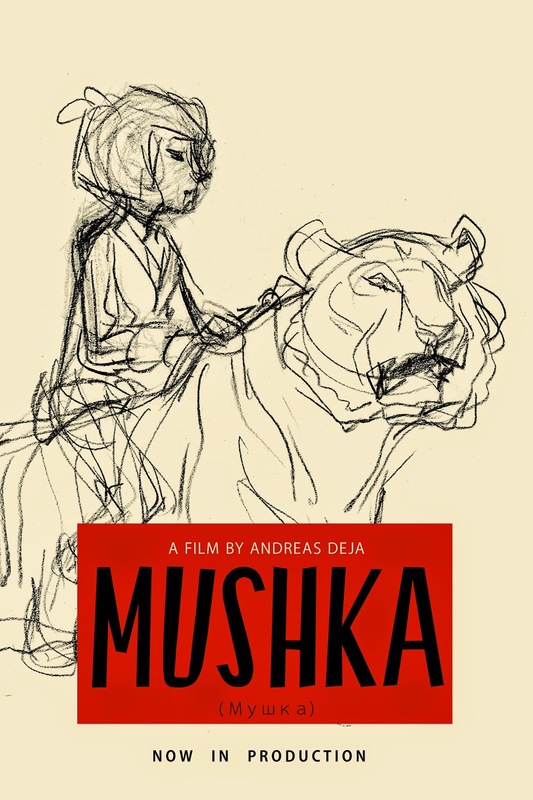 I absolutely love all the art I've seen for Mushka and I am very exited about this film. Let me know if I could help out in any way. I would like to apply for an inbetweener position. I worked with you in the past at the Florida studio! Hi Andreas! How are you? I would like to apply for the intern position. I just have finished the animation program at Anhembi Morumbi University, in Brazil (I'm Brazilian) and I'm actually work on a 2D animation feature film. I'm doing, especially, clin up and colouring of the full animation scenes (It's a full animation with cut-out animation, and I make the art of the scenes in full). I'm not from the L.A, but I'm can work remotely, if it be possible. This is my work with animator at the Animation Program. I can send you by e-mail my work with clin up and colouring if you want to see. And your project looks great! Good lucky with this! I want to help you with your project. I have been involved with 2D animation for several years working on projects and classes through Woodbury University and the Animation Guild. My self doubt becomes my inspiration. I'm interested in being an inbetweener or an intern. Great news Mr Deja! Can't wait to see how it all comes together. Im currently a Character Animation student at CalArts with a focus on becoming a feature animator. As English student I would love to intern on your project or, visa permitting, work as an inbetweener. Thank you for your consideration. I'm a junior at LCAD studying traditional character animation, and I'd love to apply either as an inbetweener or an intern. I would love to help contribute to your project as a animator or inbetweener. I'm interested in helping with your project and would love to work for you. I am able to work as an animator or inbetweener. I have inbetweened and cleaned up many master copies of your work so hope to be of help in that regard. Thank you and best of luck with your project. I would be honored to work with you on your film as an animator or inbetweener. I would love to work on your film. I see you are looking for local talent, and I am on the other coast, but I know work on Beast and other films worked distance. It IS such a virtual world now that I hope you would consider me. I am a huge fan of your work and it has been my dream to work on a hand-drawn animated film. Though I have nothing against computer animation, I feel that it is dominating the job market and hand-drawn animation is my forte. It would be an absolute joy to work on your film as an animator, intern, or even an inbetweener. I'm feeling scared just typing this, but I knew I had to try. The problem is I do not live in LA, I live in San Francisco. Perhaps you could contact me and we can figure something out. I am willing move to LA during the summer just to work on the project. Though I don't have any professional experience, I am anxious to learn the business and it would be an honor to work under such a master and learn from other artists. I have taken animation summer courses at UCLA. I would love to help you with whatever it is you need, whether it be storyboarding, character design, etc. I have such a passion for animation that I write a blog of my own. Thanks for this opportunity and I look forward to hearing back from you. i might be a bit late but might as well post my demo reel too. My name is Allison Kim and I'm interested in an intern position. My name is Julieta Colás, and I would kill to work on this. Well, maybe not kill, but animate or in-between the hell out of whatever needs to be done. My name is Dayna Broder, and I'm looking for internships in the animation industry for this summer. This sounds like it could be a really wonderful opportunity. If you're looking for interns, I would love to work on this project. My email is dpbroder@ymail.com. I can send you my resume and portfolio, as well. I would love to have the chance to be a part of this project! I am an animation student in Los Angeles, and I am very interested in this project. My email is dbaum@usc.edu and my portfolio is at deenabaum.tumblr.com. I'm currently a second year student at CalArts, and I would love to be considered for an intern or inbetweener position. I know your looking for animators en L.A. but we will really like to collaborate with your project if there is a possibility. Please take a look at it! I loved what I heard of the story at CTN last year and would love to help you complete the film in any capacity. My e-mail is kairii1989@gmail.com. It would be an absolute dream to help on this film as either an inbetweener or an intern. I just graduated from Cal State Fullerton with a BFA in animation and am currently looking for work experience, especially in hand drawn animation. This is a wonderful opportunity to learn from and collaborate with some amazing artists. I live locally in northern Orange County (Huntington Beach). I am a first year animation student and am eager to immerse myself in projects and to learn what the creative process for animation is really like! I would love to help with this in absolutely any capacity! I am local which makes this all incredibly convenient and an absolute dream. I've seen two of your animation presentations and am so inspired by your art and by your thoughts! I think it is amazing that you are offering this opportunity to contribute in any way to what I am sure will be a breathtakingly stunning and powerful piece! If you could please email me at : barra117@mail.chapman.edu, I would love to share my portfolio and resume and learn more about this project! If you still need Inbetweeners, I know I can help. I'm a student at LCAD down at Laguna Beach (currently a Junior), where a solid 2D Animation education is emphasized. I have done some Inbetween work already, and will gladly share my reference[s] by email. I am happiest when I animate, and would love to help you on this project. My name is Sarah Tillery and I am a graduating animation student at USC, located in Los Angeles. I would be very interested in interning or working as an inbetweener for your project! As one of my animation heroes, it would be a dream-come-true opportunity to work with you! My email is sarahtillery@gmail.com and my work can be found at stillsart.tumblr.com. I was speaking with my good friend and former co-worker David Perez, and he mentioned your project to me--said you may be interested in animators to help you out. I would absolutely love the chance to work with you in whatever capacity I can. I graduated from CalArts in 2010 (where I saw you lecture once--loved it, and thank you), and I have since gone on to become animation director at Six Point Harness studios in Hollywood/Echo Park, and have worked for several other animation studios. We've been working primarily in Flash and Harmony, but I miss working traditionally and would love the chance to learn from one of the greats. Some of the missing work is from the MetLife Peanuts Commercials, the Fox series Cosmos: A Space-time Odyssey, SpongeBob The Movie, etc. A friend showed me your ad and I am really interested in helping you out. I am studying traditional animation at LCAD. I lived in Orange County and I love animating traditionally more than anything. I'm a huge fan of your work and I'd love to work on Mushka. I currently live in LA and I'm a freelance illustrator so I could be free to help anytime. It would be an honor to work with and learn from you. Similar to how you learned from the greats that came before. Im not based in LA, but I would love to help out with animation if at all possible. I saw some tests you did a long time ago for this project, and it got me really interested! I have a public showreel here: https://vimeo.com/81636286 (which is a bit outdated now) but if you decide to contact me further, I can give you a password protected video with feature work which is more current. P.S. I wish you great success on this project. Its always a treat to see that 2D animation isn't dead. I'm a student at Art Center College of Design and would love to be considered for the intern position over summer for this. I'm currently a character animation student at CalArts in Valencia, just outside of LA. I have had some experience in the animation industry as a designer, but animation is my passion and I would be honored to be considered for an intern position on your production! Thanks for your time, and I hope to hear from you in the future! I'm so happy to hear about all the progress with Mushka. I am a traditional animation student at the School of Visual Arts and would love to help in any way possible. I would love to work as an inbetweener on your film. I am a graduate of the Illustration department at the Rhode Island School of Design and I currently work at Cartoon Network. On weekends, I study 2D animation under Alex Topete at the Animation Guild, working on his film. I would love to expand my knowledge and contribute to another 2D film. I am an LA-based animator and I would love to help out on your film as an animator or inbetweener. Thank you! I hope to hear back from you soon. How exciting! It looks like tons of people would like to work on your animation, congrats! Honestly I would love to but I'm just a beginner student living not in LA *sighs* Good luck on your ventures! Also, It's super cool that you got Richard Sherman! This is amazing! Thanks for giving us commoners an opportunity to contribute to what looks like an amazing story, not to mention work with someone as influential as you! My name is Tyre Jones and I would absolutely love to join your team as an intern! I live in Long Beach [LA county] and I can free up my schedule to fit whatever your project needs [my only restriction would be my late evening class at CSULB on Mondays until mid May]. I owe so much to you and this blog, especially my taste and ever increasing "high standards" as an artist. Thank you for posting your amazing work and the amazing work of your contemporaries/influences! and most importantly, thanks for your time and consideration! Thank you so much for opening up this opportunity! This film looks like it's going to be an amazing work. I'm very interested in seeing what the story is! I'm an art student at UC San Diego interested in film/animation/storytelling, and I'd love to help out and learn as an Intern. Thank you for this opportunity and your consideration! I currently live in Toluca Lake and work at Disneyland since 2012. 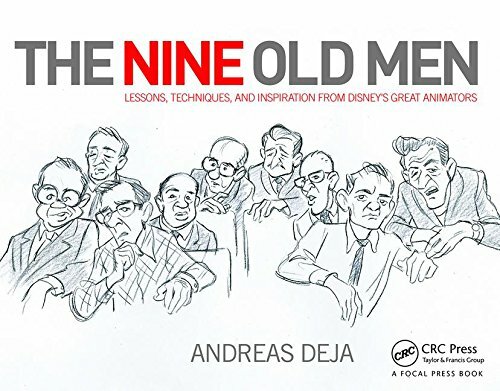 I have a high appreciation of the work of the Nine Old Men and am extremely passionate about creating something new, pushing boundaries, and doing my best. I achieved my BFA in illustration from the Univeristy of ARIZONA and am interested to be trained as a New Inn-Betweener and/or working as an Intern. Thank you very much for your consideration and I look forward to hearing from you. I am a concept artist from LA. I recently moved from Australia to further advance my career. I have experience with character design, blue sky and post production art, color keys, and more. I love creating art and would bring that passion to the project. If you have the need for a former pro wrestler (what animated project doesn't) then I can help there also. Thanks for your time and best of luck! I have been working in LA as a 2D animator and storyboard artist for two years. Your art is an inspiration to me and I would love to be part of this project. I am applying for the Animator, Inbetweener, and Effects Animator positions. Here are links to my work. I appreciate this opportunity and hope to hear from you soon. I am an animator & story artist living in Burbank and I would love the chance to work with you on your short! I am definitely interested! Thank you for your consideration. I live in Los Angeles, and would be thrilled to be able to help out on your project. I'm a graduate from CalArts' Character Animation program and have been steadily working in the industry since then. My most recent work has been with Flash rigs, but I'm excited to be able to work with paper again. My current gig has us working in TVPaint. I do FX animation! Just thought I'd throw my name into the hat. Thanks a lot, and good luck with the film! I am a junior at Pepperdine University currently seeking an intership in the animation field. I work as a cartoonist for the local paper as well as a freelance cartoonist for USA TODAY. I'm interested in a variety of areas of the 2D animated production process. I'd love to have a good mentorship opportunity. My email is sachairick@gmail.com. I'd gladly send my portfolio. Can't show anything else from the film, as it is not out yet. I currently study at Ringling College of Art and Design and am very interested in helping your film as an intern. I had done a 2d animated tiger test a while ago, please do check it out. Doing traditionnal animation has always been my dream! I would be ready to dedicate my whole life just to see it shine like it used to do. I'm actually working on the 4th season of Disney's ''Jake and the Neverland Pirates'' as a character animator. I'm so passionnate about 2D animation and I don't care about the position you may have for me... I would just be happy to be part of a traditionnal feature. I'm a current hand drawn animation student and would love to freely donate my time as an inbetweener or an animation intern. I was recently studying at Ringling College of Art & Design. I've recently transferred into Animschool and plan to finish my degree with the University of the Arts in the fall. If you are interested I do have some WIP of some new animation I'm doing I can show you as well. I appreciate the opportunity and best of luck with the project! 2 or 5 poster, both are spectacular. Can't wait for the film! I would like to express my interest in being a part of your team for this upcoming production. In addition to a strong background in storyboard art and traditional animation techniques, I have extensive experience with Toon Boom Harmony, Storyboard Pro, and the Adobe Creative Cloud. I can be reached via email at: michael.c.falk@actuallydaddy.com and my portfolio can be accessed at www.home.actuallydaddy.com. Thank you and have a great weekend! I'm a traditional character animation student and I would love to be apart of this. It's very exciting to see a traditional opportunity! I'm an art student with some expirence on 2D animation, and it would be a honor to work for you as an inbetweener. However I live in argentina, is there any chance for foreinger animators? I'm in my final year as an animation student, and I'd love to work on this project as an intern. (Sorry if this comment is a repeat--I already posted my information but didn't see it show up under the comments.) Currently I'm living in Michigan, but I'm more than fine with moving out to Los Angeles to work on this. Shoot me an e-mail if you'd like me to send you my resume and references! My name is Anca Mihai and I am a Sophmore Computer Animation Student at Ringling College of Art and Design. I have done some Traditional Animation in the past and I would consider it an honor to be part of this project. I would not be able to work full time but if you would consider me for an internship for this summer I would be more than happy to help with the project. I am not a local, however I would be glad if you would consider me for this opportunity. I'm interested in applying for a position on your film as an inbetweener. I've been in the industry for 20+ years, so I do have experience. I live in NY, but I hope that won't deter you as far as consideration. Thanks, and hope to hear from you. My name is Wendy, I'm an animation student in Detroit area. I've lived in LA a while ago, and I moved to Michigan for my school. Your project and sketch interested me a lot and I'm willing to move to LA again to assist you in the production. Here's my portfolio website: WendyFu.portfoliobox.me and here's the Youtube channel: https://www.youtube.com/user/shinyfirenight/videos. If you like my work please email me at shinyfirenight@gmail.com, I'm looking forward to hearing from you! I am an aspiring character animator and would love the idea to be part of a fun traditionally animated story. I have always enjoyed the work you have done and would very much like the opportunity to help out and gather new experience and knowledge in animation. In addition to traditional animation, I am well versed in Storyboard Pro, Toon Boom Harmony, and the Adobe Photoshop. I am very interested in seeing the completion of your project. I would love to work with you as a 2D character animator. I have experience in Storyboards, Character Design. and Traditional/Tradigital Animation. I am a recent graduate of Columbia College Chicago. I am currently living in Burbank California. Attached below are links to my website and email. I just heard about this and it sounds+looks pretty great. Would be great to hear from you anyway! My name is Billy Twohig. I am twenty years old and I have a 5th level degree. In tradition 2D animation. I love this experience to work along side you and your team. I would love to hear from you but I must stress I am situated in Cork, Ireland, but nevertheless, I would love the opportunity to speak with you. I'm a traditional animator in Los Angeles. We met a while back at a wrap party at Eric Goldberg's home--it was lovely talking to you. I'm actually not interested in the money, but I would jump at the chance to animate on paper again--I have a BFA in Traditional Animation but everything seems to be digital now. Please let me know if you could use some extra help! I lived in LA in 2011 where I had the chance to meet you on a CTNX talk, but I'm not living there anymore. I'm currently living in Denmark but if it's any chance to work overseas for assistance, inbetweening, colors or anything else, let me know, I would love to be part of your team. What a pleasure writing to you! I currently study animation at Ringling College of Art & Design and would like to apply as an intern. I have an animation generalist skill set, which includes traditional animation as well as a prior business-related internship at an animation rep house, Liz Laine Reps. I would love to send you a more in-depth application, so please feel free to contact me! I have grown up (and continue to be) inspired by your work, especially in Aladdin and Enchanted. I would be thrilled to be a part of this exciting new project of yours in any capacity you need. I am currently an animation/visual effects student in LA and my schedule is relatively open to lend myself to you. You can view my work at juliapfeffer.weebly.com, including a link to my demo reel, so please let me know if you need an intern/assistant. I love a challenge and working with a team, and I would be honored to partake in an opportunity like this. Traditional animation artist in the Los Angeles area. Hello Andreas, my name is Anthony Gardea, I'm not sure if you have already gathered the necessary artists but if not, I would like to see what you think my hand drawn animation. Hello! I'm not sure if you're still looking for people but if you are I'm interested in animating or in-betweening. I am local to LA and am available to work immediately. I don't have a lot of experience but am confident in my abilities. My email is: johanna.gan[at]gmail.com Thank you! Even if not suited for the production, thank you for creating such a lovely work of art in such an amazing medium - that needs to be remembered and maintained! All the best and cheers. I worked in the Florida studio in Camera and Backgrounds. If later you need a Color Stylist or Background Assistant let me know. I currently live in Burbank. Looking forward to seeing this film progress! Hello my name is Gustavo Gonzalez and am very interested in this story, thus I would love to be part of the team. My email is ggonzalez0411@gmail.com, I look forward to hearing from you. Hi. My name is Nathanael H Jones. I'm interested in an animation internship opportunity. Completed several independent projects, comics, video games, short films, rock albums etc. Hello Mr. Deja, My name is Malcolm Thomas. We actually met each other at CTN in 2010. I'd like to apply for both an inbetweener spot and a possible internship.